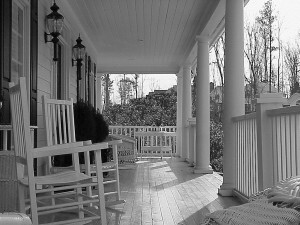 Building the “perfect” front porch is something the master builders yesteryear seemed to understand. To discover their secrets, Afton Village developer, David Mayfield and landscape architect, Richard Burck, spent five days in Charleston, Beaufort, Savannah and other small towns across the southeast, measuring the best front porches they could find. They discovered that the size of the porch, the height above and distance from the sidewalk are critical considerations in the success of the porch. 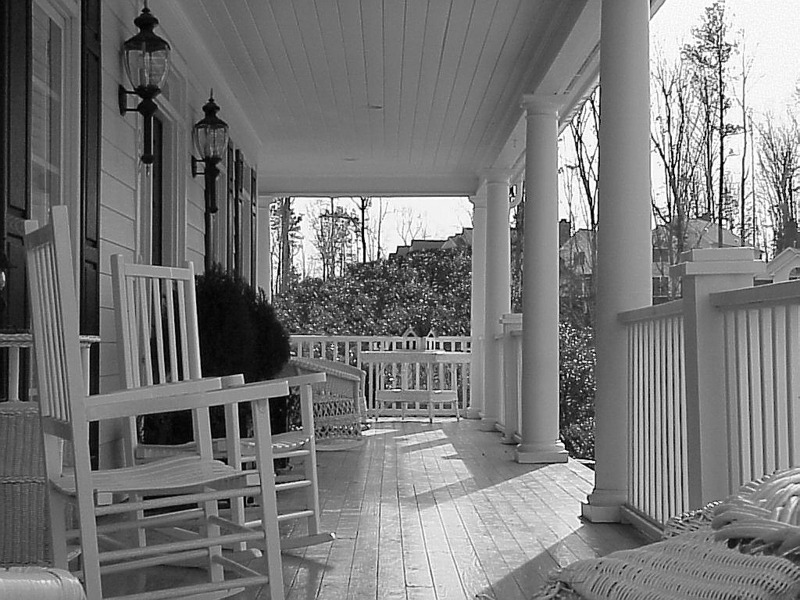 A successful front porch is a social space, an outdoor room, a place where residents can converse with neighbors walking by. 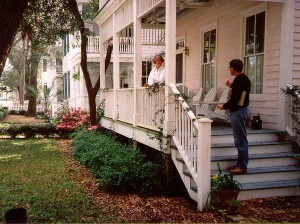 To accomplish this, porches need to be at least eight feet deep and within a “conversational distance” form the sidewalk (between 16 and 20 feet). But a front porch also needs to provide the right amount of privacy for its occupants. This is where the height of the porch and type of railing come into play. At a “conversational distance” a porch that is too low or exposed does not provide its occupants with a sufficient level of privacy, and therefore will be used less frequently. These and other considerations have been carefully incorporated into the design of the Afton Village homes as well as the governing design codes for the community.